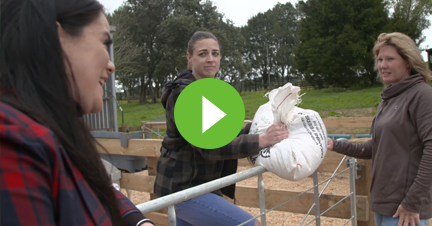 Get the low down on the Farm Source Rewards Programme and learn how to make the most of every opportunity. Farm Source Rewards is one of the best reward schemes in the country. It harnesses our collective buying power to help suppliers’ farm budgets go further. 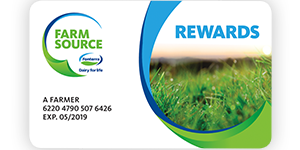 Farm Source Reward dollars are valuable too, they can go towards holidays, fashion, electronics, jewellery, petrol and cars, plus all the farm gear you can imagine. Your Farm Source Rewards card can also unlock great discounts at over 2,000 retailers nationwide – including 21 cents off per litre at Mobil. To make life easy, purchases are charged to your Farm Source account and billed monthly with up to 50 days interest free. Plus you earn Farm Source Reward Dollars on every purchase you make. Haven’t got a card, or would like one for workers or family? You can apply online right here. You’ll need to register as a Farm Source customer or if you already have a login and password, you’re good to go. Got more questions? See our FAQs here.